Kymberli Joye took to the “The Voice” stage to powerfully praise the Lord for “fan night.” On the NBC singing competition show, the 26-year-old singer from Windsor, Connecticut, proclaimed her faith by singing the popular praise song which was selected by fans, “Break Every Chain” for millions of viewers across the country. During the show, Kymberli delivered a strong and powerful performance as she lifted her hands to Lord. Coach Jennifer Hudson can be seen standing and singing along during the performance and Coach Kelly Clarkson can be seen on her feet excitedly dancing along to the worship song. “There’s an army rising up,” she continued. “To break every chain, to break every chain, to break every chain,” the song repeats. 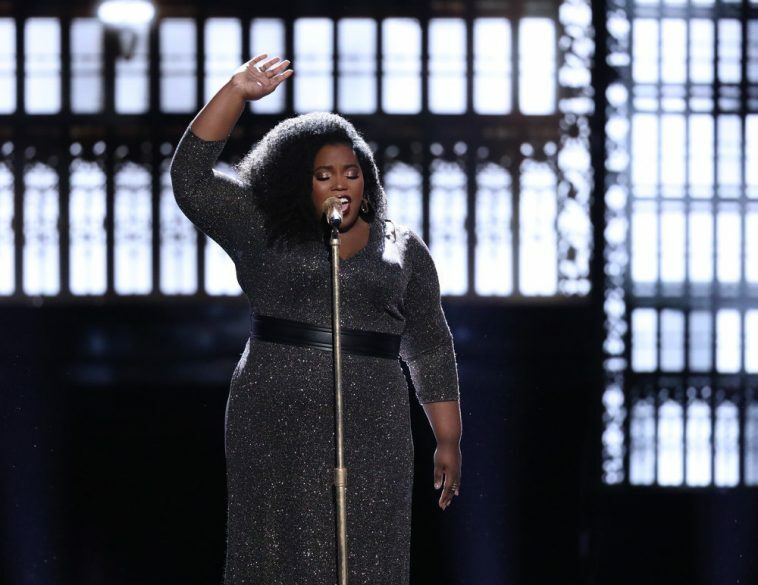 According to CBN News, the Connecticut native is a worship leader and minister at her church back home where according to her contestant bio on “The Voice” website, she sings in the church choir where her parents are pastors. “For the past seven years, she has been working alongside chart-topping gospel singer JJ Hairston. One of the albums they recorded has been nominated for a Grammy,” it continued. Joye was voted safe after this weeks episode making her one of ten finalists.